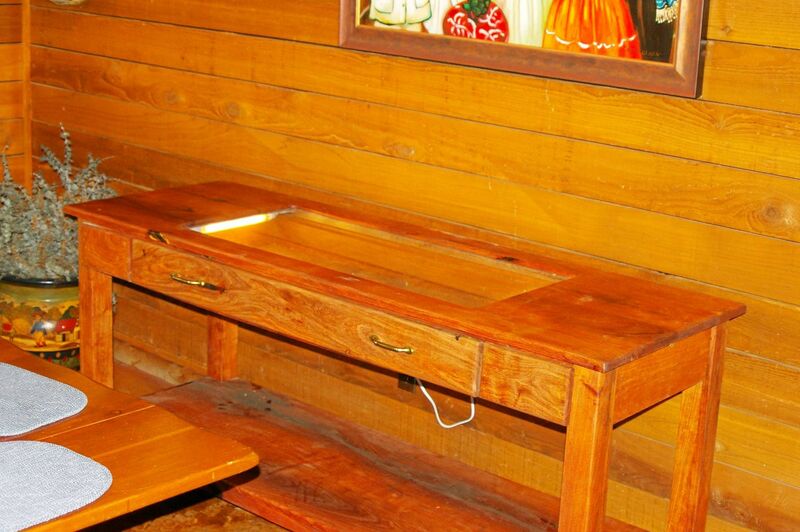 The table features a lighted display area for dispalying family heirlooms, arrowheads or other collectibles. It is made of solid mesquite with a hand rubbed oil finish. It has one drawer located directly under the glass. This table is five feet long and about 24 inches wide. Tables can be made in custom sizes and heights.